When investors hear about covered-call writing for the first time and the opportunity to generate instant cash flows into their brokerage account, they get super excited about it. However, most retail investors continue to make huge mistakes with this strategy supposing it's a free lunch. Every strategy has its advantages and limitations, no doubt about that, but in the end, it's all about understanding and mastering those aspects to use them in your favor. To learn more about the basics of covered-call writing, you can go to my website where I provide coaching videos for premium members. In this article, I'll discuss a defensive setup with Facebook (FB), as this stock can be a very compelling vehicle for covered-call writing if you stick to your own targeted monthly return and risk tolerance. In my case, I'd be happy with a consistent initial one-month return of 2%-4% like I highlighted in my portfolio review of January. 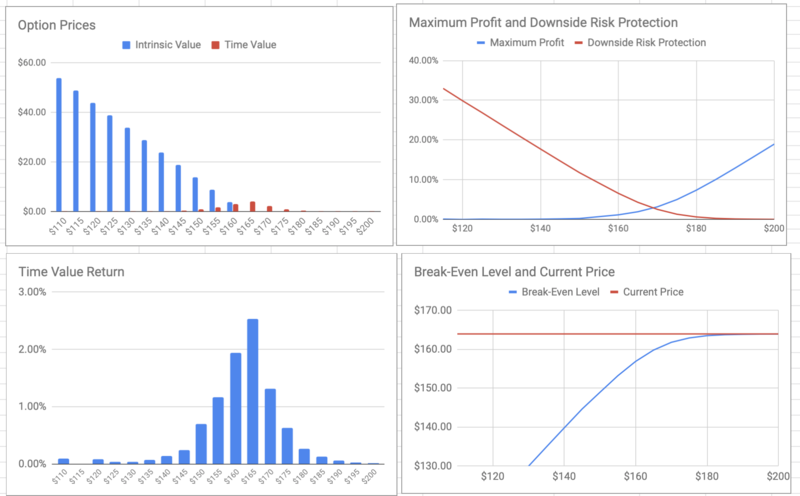 First of all, let's take a look at Facebook's options chain and assess time value returns, downside risk protection, and breakeven levels. It’s important to note that even in-the-money contracts generate annualized time value returns of more than 25% as a result of reasonably high volatility. 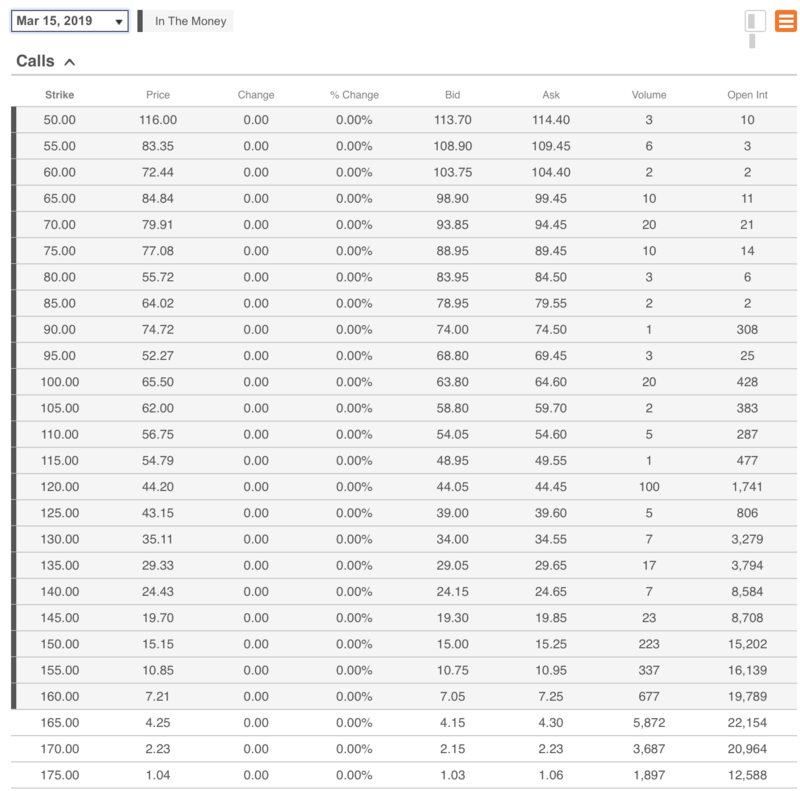 For instance, the $160 calls generate a maximum profit of 1.94% with total downside risk protection of 4.3%. This makes a lot of sense for defensive investors feeling the chart technicals are mixed or when the market is volatile. No matter into which direction the price is heading, you still capture that one-month maximized return of 1.94% unless shares drop below $160. Your breakeven level is a comfortable $156.90. On the other side of the spectrum, bullish investors can choose the out of the money calls with a strike price of $170. Selecting this strike allows you to generate a maximum profit of 5.00%, of which 1.31% is time value. Option Generator provides crystal clear analyses on selecting quality companies and combining these with covered call trades. Generally, volatility frightens investors around the world as they might think that there are no safe places for income investors anymore. Successful investing, though, is based on taking advantage of extraordinary situations. At Option Generator, we focus on a few stocks that have the potential to beat overall market returns while being less risky. Covered calls and cash-secured puts are the best vehicle to make that work. We use them in different ways so that our members can single out the best strategies that match their own profile. There are a lot of hidden gems out there, with ways for you to profit from these stunning investment cases. We combine them with lucrative and conservative option strategies, allowing us to generate more income beyond what's possible for most investors. My own portfolio reflects a mixture of growth, value, and dividend stocks. Nevertheless, I have also put defensive, neutral, and more aggressive model portfolios together, making it easier to find one's way in the spacious stock universe. More importantly, my current portfolio remains LOW EFFORT with approximately one buy or sell trade required each month. Retirees looking to live off their income streams without putting the nest egg at risk are definitely at the right place at the right time.